Stocks fell sharply on Wednesday as co-ordinated global interest rate cuts by major central banks failed to dispel the gloom engulfing world markets. On Wall Street, the Dow Jones ended 189.01 points lower, or 2%, at 9,258.1 despite having risen in earlier trade. Latin American economies are facing an awkward combination of slowing activity, more difficult external conditions, and still-high inflation. After four years of strong output growth, the pace eased in most economies of the region during the first half of 2008, largely because of moderating exports, according to the IMF World Economic Outlook. Latin American stocks and currencies fell during another day of volatile trading on Wednesday on fears of a global slowdown. Several central banks had to intervene to cool the demand for US dollars. Latin American stocks plunged Monday, led by a stunning 15% intraday drop in Brazilian shares, on concern about a world recession that could devastate the region's commodities-based economies. 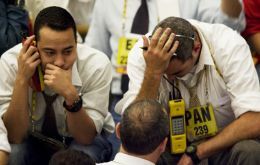 Wall Street's Dow Jones Industrial Average fell as much as 800 points to trade below the 10,000 mark Monday as nervousness over the credit crisis spread after the US government's 700 billion USD bailout and interventions in Europe only seemed to add to investor anxiety. Asian stock markets early Tuesday opened down sharply amid investor panic that global government action might not be enough to stem the financial crisis. 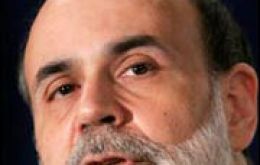 Faced with worst economic and financial market crisis since 1929, Federal Reserve Chairman Ben Bernanke on Tuesday sent a strong signal that officials may lower interest rates against a backdrop of waning price pressures. The Chilean economy experienced an unexpected trade deficit in September, the first negative month in six years according to the latest release from the Central Bank. The misbalance was 318 million US dollars; a year ago it was a surplus of 1.37 billion US dollars. 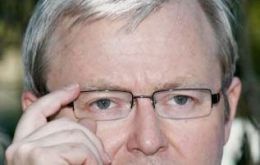 Australia's central bank surprised financial market by cutting its key interest rate a full percentage point from 7% to 6%. The bank said the sharp cut was justified given the prospects for growth, even though inflation is currently above target.